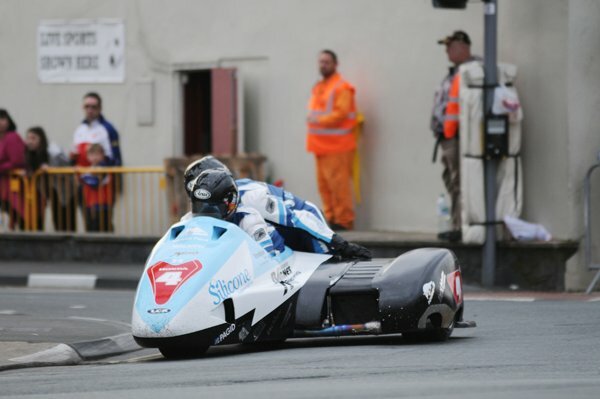 Conditions and visibility were again excellent for the second qualifying evening of at the 2014 Isle of Man TT Races, fuelled by Monster Energy, and Bruce Anstey again set the pace. The Kiwi lapped at an impressive 130.860mph on the Valvoline Racing/Padgetts Honda. He spent much of the second lap circulating with John McGuinness, who was second fastest on the night at 129.395mph while BMW Motorrad rider Michael Dunlop looked like he’d break the 130mph barrier until coasting to a halt at Governor’s Bridge. The session got underway at 18.23 and, as with Monday night, the majority of riders opted for their Superbike machines, leaving the line in numerical order. McGuinness and James Hillier were first away followed by Ian Hutchinson and Guy Martin then Anstey and Dunlop, Gary Johnson and William Dunlop with Michael Rutter and Conor Cummins completing the top ten. Hillier was aboard his Superstock Kawasaki as were Lee Johnston and Daniel Kneen. McGuinness was first to complete a lap at 127.578, followed by Anstey (128.630) and Dunlop (129.032) with Cummins and Rutter also over the 128mph mark. Martin and Johnson lapped at over 127mph while Hillier’s lap of 126.243mph was the evening's fastest Superstock time.